Make sure to visit the homepage and sign up for the free package of formatting templates. If you're self-publishing, it'll save you a lot of time and money. 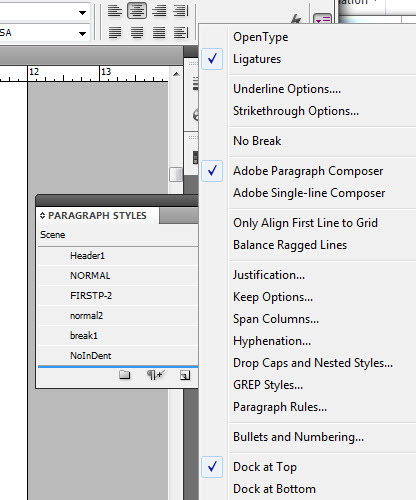 Rather than starting from scratch, this guide to InDesign formatting will assume you're using one of my InDesign book templates. That way we'll skip a lot of technical stuff you don't really need to know about. 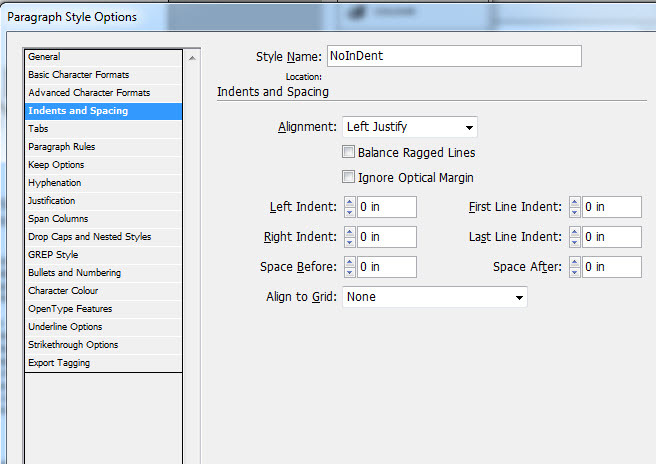 Even so, InDesign can be frustratingly complex. I recommend hiring someone on Fiverr.com to do the initial formatting. If you have your book ready and send them the fonts and clear instructions (along with a template) it should cost less than $100. But it's nice to have InDesign and know how to use it, so that I can later make small changes or fix typos without having to go back to my designer each time. These videos should help you get started, or use the guide down below. I'm going to match the style with this cover I made for www.diybookcovers.com. 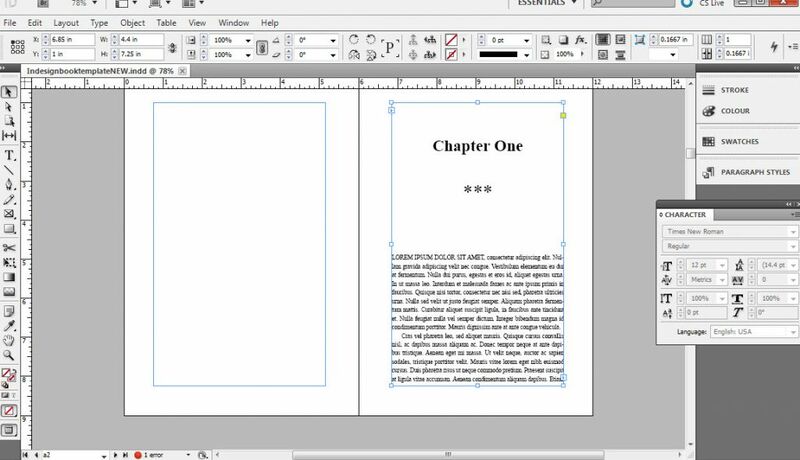 The first thing I'm going to do is copy the first chapter of my book (from the Word file, or wherever you have it), and paste it into the first paragraph of the InDesign file. For now let's set up our main styles. I'll highlight the "Chapter One" text and set it to Trajan Pro, all caps to match the cover. Then I'll highlight the text again, and hit the little panel button on the top right of the Paragraph Styles panel (right under the X to close the panel). I'm going to save this as a "new paragraph style" rename it "header1." I'll do the same thing for the subtitle, increasing the font size, making sure the text is centered. I change the font to "Lato" to match the cover, then saved it as "Scene" (because in this book, the subtitle describe the scene). 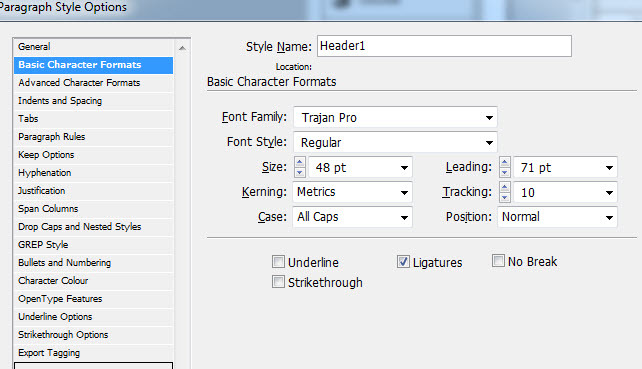 If I make changes to the text on the page, I can highlight it, hit the little box inside the Paragraph Styles panel again and choose "Redefine Style" so that my changes are automatically applied to the style. Psst... have you downloaded our free package of templates yet? It includes InDesign templates to help you get started quickly! Click here to download them all. I wasn't quite happy so I fiddled some more, making the subtitle smaller. Then I added a dropcap, by going to the little extra panel at the very right of the top menu, which gives me a dropcap option. Then I selected the first few words of the first sentence and made them all-caps. This is what my first page looks like now. If I scroll down to the next page, I can see that everything looks pretty good, except that I need to adjust my headers. You can't just click up in that area to edit them however; that information is set on a "Master Page." If I click on the Pages Panel, in the main box I can see my document and all the pages - in those little icons, at the top, is an "H" or an "I". Those are two different master page styles. At the top of that panel are my master pages, called "H" and "I". 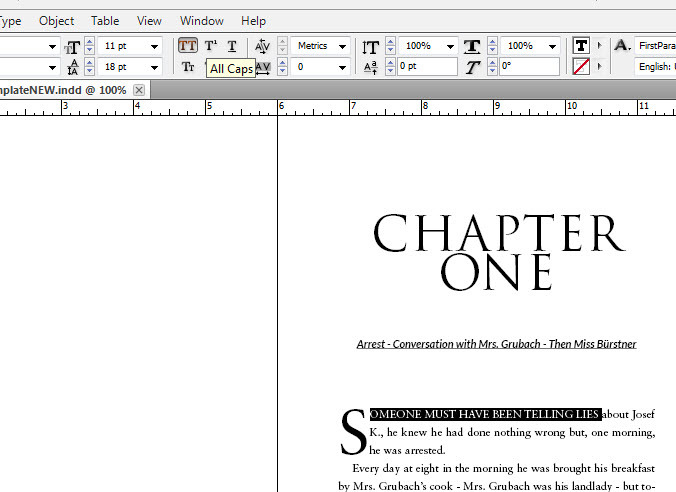 "H" is totally blank, with no headers, for my chapter pages or front matter. "I" has headings and page numbers. 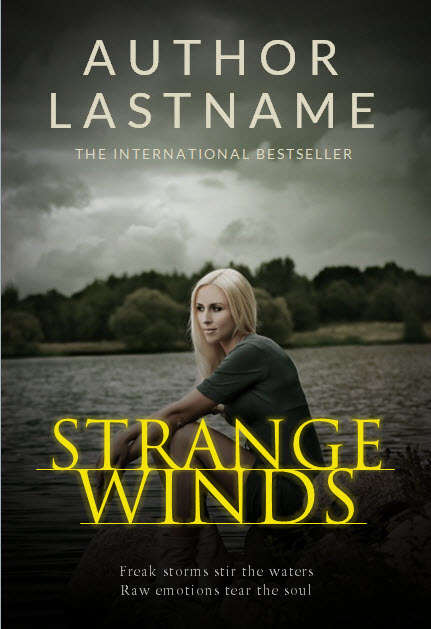 If I click on that template, I can change the author name and book name, and style it a bit. Those page numbers are automatic, so on this page there's just a placeholder symbol. 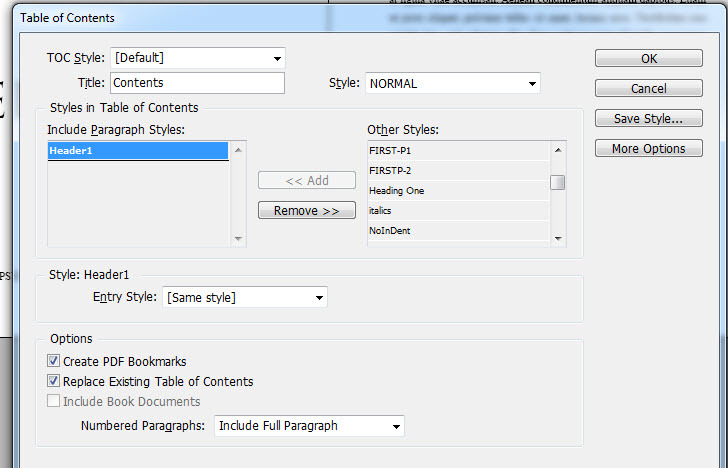 Now if I click back in the document section of the pages panel I can see that my changes are kept. 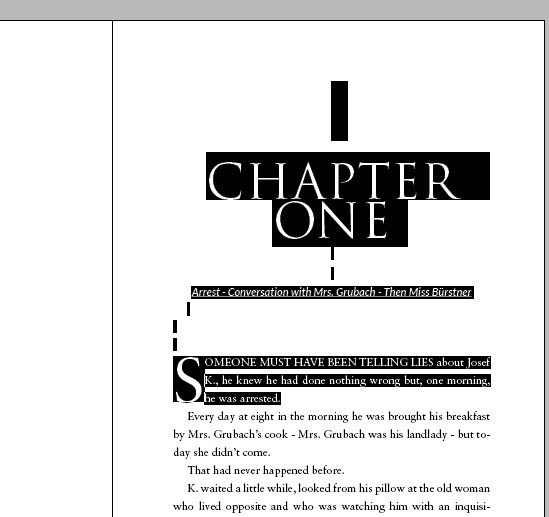 Now I'll scroll all the way down to the end of Chapter One, doing a quick check. Something I notice is that several pages are blank and don't have headers. That's because, in the original template, these pages were set with the master page "H."
I need to reset them with the master page style "I". 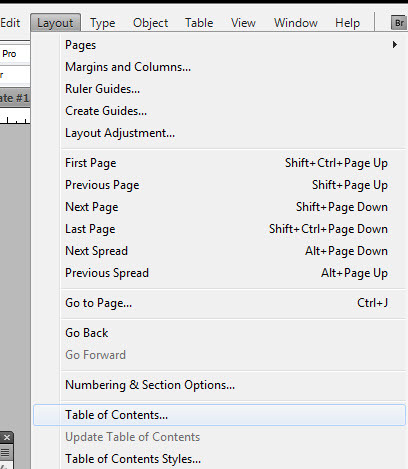 In the Pages Panel, I put my mouse over the page I want to change and right click, then choose "Apply Master to Pages." Then I'll pick the style I want. Since my original template had short chapters, now that I've put in my text I need to do this several times. When I get down the end of the document, I notice a lot of the text is cut off. My template was only for 49 pages, and when I added my new text InDesign didn't make new pages for me. If I click the arrow tool from the tools panel, and then click in the text area of the page, it will show me a red "+" sign - that means there's overset text. First, I'm going to insert some more pages. 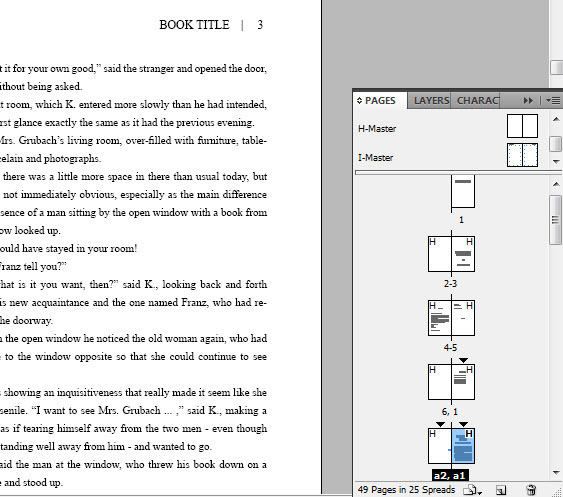 I right click on that last page (in the Pages Panel) and choose "insert pages." I'm going to add 50 for now. Then, I'll go back and click on that little red "+" sign. Now there will be a little snippet or preview of the text under my mouse; I'll go down to the next blank page of the new pages I made, and click the mouse again. All the overset text will be copied in. 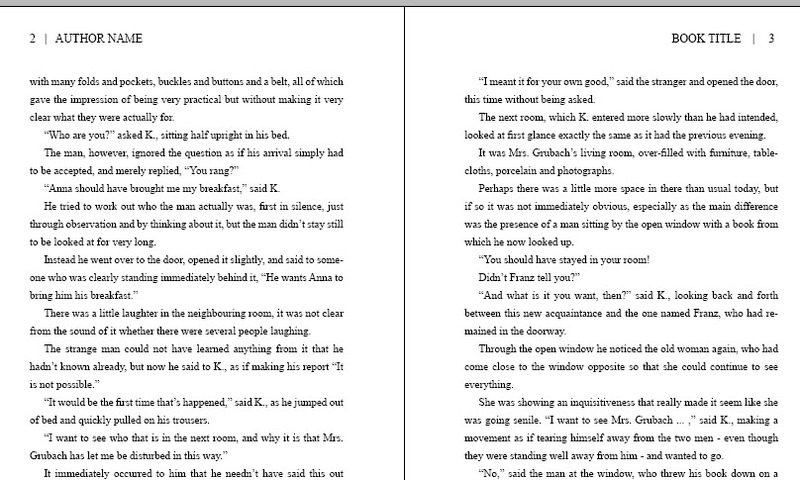 This will work fine as long as you made enough pages for the overset text. But if you didn't, on the last page you'll get that red "+" sign again. But there's a way to avoid this if you aren't sure. After hitting the red "+" and getting the overset text on your mouse, hold down shift when you click in to the next page. Now under the mouse, instead of the text you'll see a little snaky line - that means you have the "autoflow" feature on. If you click the mouse while holding shift this way, when you paste the text InDesign will automatically add extra pages as needed. So now I've pasted the rest of my book, but I still need to go through it and apply the styles to all the chapter pages; and also apply the right master page to those pages (and remove it from any that should be 'normal' pages with the header and footer). A quick cheat is to go back and highlight the first paragraph and heading from the first chapter, and copy+paste it to the first pages of other chapters. Then I just have to change all the text to make it right. For me, that's faster than selecting the right style for each element, redoing the dropcap, etc. My templates should have a TOC already, but you'll need to update it. Go up to the Layout tab and you'll find the Table of Contents menu. 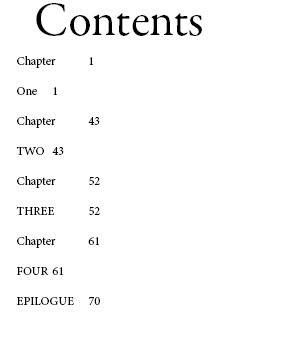 I used "Header1" for the chapter titles, so I need to add that style to the TOC instead of the default ones. That sort of worked, except it divided up the Header1 tags into two entries, so I'll need to combine them all, and add some styling. If you need more help, I recommend searching YouTube for your specific problem, "How to X in InDesign?" or signing up with Lynda.com for some more robust training. Don't forget to grab your free templates! The free package is the fastest way to get started quickly, without the overwhelm. Click here to download them all, so you can finish designing your book and get back to writing. Make sure to check out the homepage and download the DIY formatting templates and guide (go ahead, it's free!) If you're self-publishing, it'll save you a lot of time and money. You can get over 100 formatting templates and in-depth tutorial videos by signing up to the Master Package. Right now I'm also giving away some crazy bonuses to help with your book marketing and promotion. You can also get all the book cover templates at DIY Book Covers by signing up to the Master Package - I'm bundling them together for a limited time, along with my $197 course on book marketing. You'll learn the common mistakes that kill book sales, and the simple tweaks I've used to double my sales overnight. Sign up for the Master Package here. Get Adobe InDesign CC for just $19.99 per month!